The best WooCommerce support company to grow your business. We haven’t met a WooCommerce problem we couldn’t solve. So you need product variations created or your social proof updated monthly? Done. That’s right. You sleep. We work. Not fair – I know. But imagine having your website updated when your customers also sleep. We don’t hire “remote workers” (aka freelancers) to work on your site. All our staff are directly employed and work inside our actual office! Many WordPress support companies limit tasks to under 30 mins. But if all your problems are only 30 mins long, you probably don’t need us! You get the biggest value with your hard earned cash. 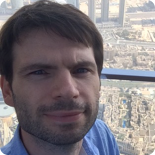 There is a reason why our dev team is NOT based in Silicon Valley! Our staff are available throughout the weekend for those issues that need to be fixed and cannot wait until Monday morning. Time is money and we are here to help you get more of the latter. Downtime is lost sales. We test major updates before they go live. Wave goodbye to cowboy updates. No Worries On The Weekend. We work to a 24 hour turnaround on none urgent tasks. Urgent tasks jump the queue and you can of course schedule tasks ahead of time. Your store is unique. Often the solutions and amendments you need are too. We offer custom development for your store. Offsite 1-click restore backups, Managed WordPress Updates, Uptime Monitoring, Security Scans, Monthly Reports. In today's world your website needs to be a central part of your marketing eco system. Thankfully WordPress websites are great for content publishing. However your presence in the world must span web, social media, print and local mediums. Your web site though remains the glue that binds it all together. It is where your blog, social media feeds, photos, and e-commerce all reside together. We work with you to turn your website into your marketing hub and automate your social media presence. Imagine your latest products or blog being automatically updated on your site, and then auto-posted on social media at the timing of your choice! We can make it happen. The guys at @mywphero are lifesavers! Resolved an issue with our website in a matter of minutes. Would highly recommend. @mywphero helpful and gracious! Thanks for making the Internet a better place you guys! A huge thank you to @mywphero for helping us with an issue on our website! Glad to say it’s all fixed. Check them out if you have a site! Professional, fast that’s WP Hero! best support services I have encountered so far. Truly WORTH EVERY STAR! Super fast answering your request and great people!! They are professional, super fast, do great work, always go beyond what they have too and offer a service that is incredibly well priced for everything you get. Utterly brilliant service – highly recommended! Amazing service They constantly go way above and beyond. They are excellent at what they do and have constantly impressed me. And their pricing is exceptional for the services they provide. 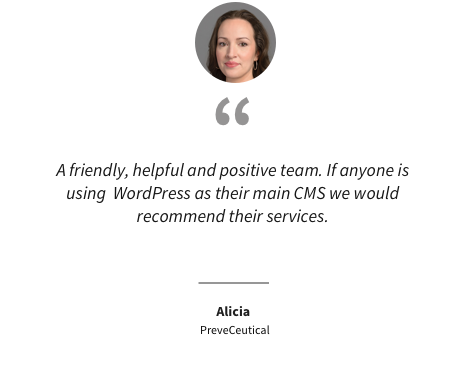 Many successful Woo store owners tell us about their love / hate relationship with WordPress. It’s wonderful to have so many choices in WooCommerce themes and extensions… if only they always worked well together. 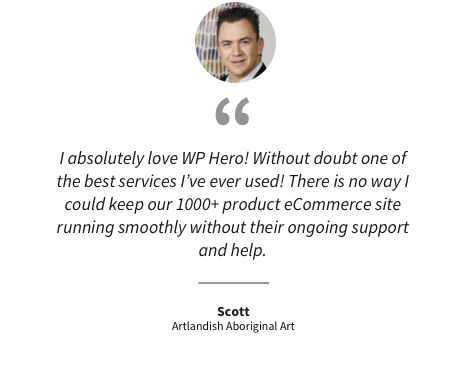 WP Hero was started by two entrepreneurs from opposite ends of the world, who met while working in India and decided to bring our skills together to save WordPress and WooCommerce users time and money. We built a WooCommerce HQ in Ireland and a development centre in India and recruited some amazing staff along the way. We know the frustration of going between your web host, plugins authors, WooCommerce support, your theme authors and then getting sent back in a circle. It’s frustrating to get stuck in the middle. We want WP Hero to be a single point of contact for you. Let us handle the rest. As entrepreneurs and Woo owners ourselves, we understand the need to choose where to invest wisely to get your maximum value in return. That’s why we created WP Hero. To make WooCommerce easy and pain-free, with immeasurable value for a reasonable investment. Our success is tied to your success. Let’s grow your store together. When Nigel isn’t helping store owners succeed in WooCommerce, he can be found critiquing the espresso & foam composition of a cappuccino. 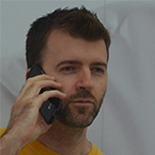 When taking breaks from WooCommerce, David usually ponders when a Boston area sports team will win their next championship.